Warrendale (Detroit) Blog: How Should Michigan Deal with the Loss of Income Tax Revenue? 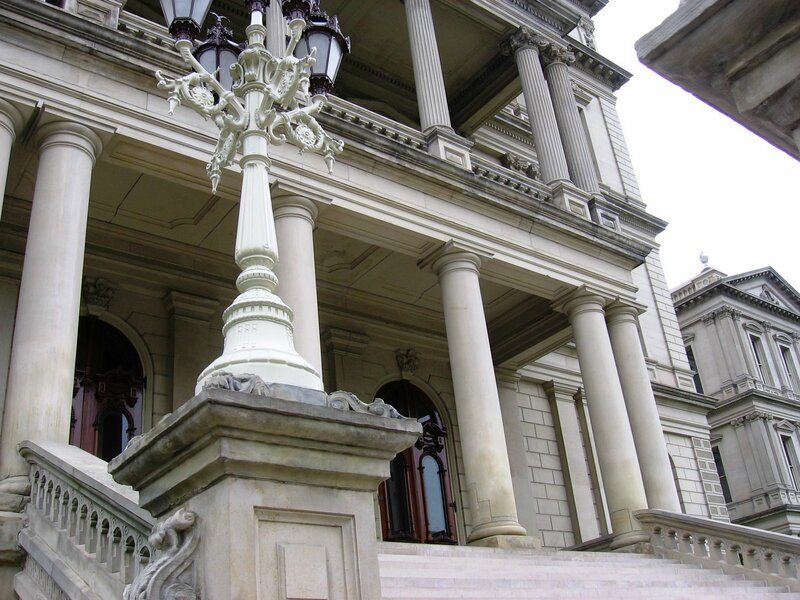 How Should Michigan Deal with the Loss of Income Tax Revenue? Michigan is now well on its way to being a right-to-work state and will almost certainly be one within the next few days. This isn't a good idea, in my opinion, but it is reality. Regardless, I would like to be proactive about this. Since people in right-to-work states almost always see their incomes drop, and since people with less income pay less in income taxes, we as a state need to start asking how we are going to adjust to this. Thus, I would like to pose a question for discussion: how should state and local governments deal with lower tax revenue now that Michigan is a right-to-work state? I posted this question over on my Facebook page earlier today. One of my friends suggested that this is a perfect time for Michigan to legalized the sale and use of marijuana. Such an action, he pointed, not only mitigates the costs associated with prosecuting marijuana sellers and users, it also gives the government something else to tax instead of incomes. I agree with his idea about changing marijuana laws as a way to deal with the drop in income tax revenue that Michigan will see now that we're a right-to-work state. However, I'm curious to see if anyone else has any ideas. If so, please feel free to share them with me, either in the comments section, on Google Plus, or on Facebook.